Why settle for a silver lining when you can have a personal cloud that shines with all the colors of the rainbow? Summer is coming, and it’s time to breathe some fresh air into your home decor, which, in this case, can be in the form of a literal cloud. 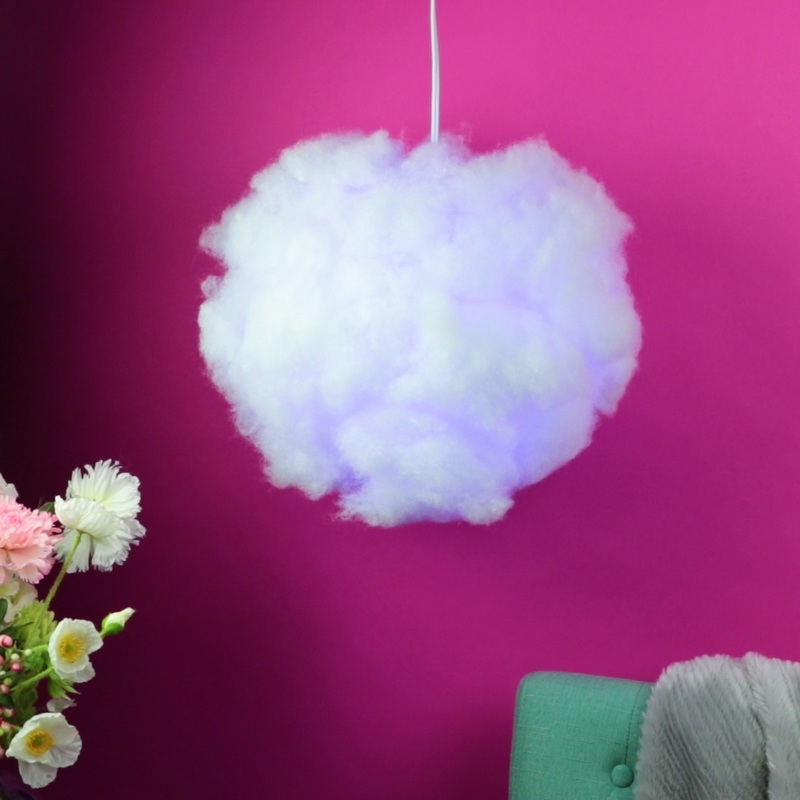 This cloud lamp, which you can easily recreate at home, is a fun way to light your room with a color-changing LED light. All you need is a paper lantern, some fluffy stuffing, and some hot glue. Make one, make a whole sky-full. Watch the video below for full instructions. 1. Insert the LED bulb into the paper lantern. 2. Hot glue pillow stuffing to the lantern pressing it down with a popsicle stick to avoid being burned by the hot glue. 3. Continue gluing chunks of the pillow stuffing until the whole lantern is covered.